The $77 million in budget cuts approved last week by the Maryland Board of Public Works mark the first recognition there’s a price to be paid for placing election-year politics ahead of fiscal realities. It won’t be the last spending pullback, either. Maryland has a serious, ongoing imbalance between its high spending habits and its lower than expected revenue receipts. Everyone knew this was coming. Much of it is a result of the severe cold weather over the past winter, which devastated sectors of the economy, drove up heating and electric costs and put a severe crimp in job creation. Yet early this year Gov. Martin O’Malley, with the support of Democratic legislators, introduced a budget for the current fiscal year that was wildly out of sync with prevailing economic conditions. The larger problem, which O’Malley chose not to confront head-on, is that Maryland’s spending isn’t affordable without more rounds of tax increases — or sizable reductions in agency budgets. The $77 million in cuts approved last week amounts to a small down payment on what is likely to come later. 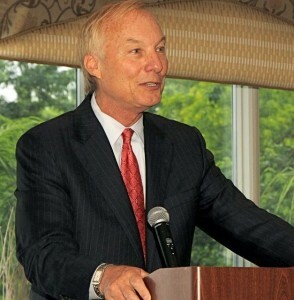 Maryland’s economy remains stalled, as Comptroller Peter Franchot underlined at last week’s Board of Public Works meeting in the State House. Wage growth is near-zero. Sales tax growth is about one-fifth of what it should be in a recovery. Withholding taxes are about two-fifths of the norm for a recovery. 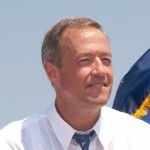 Making matters worse was O’Malley’s failure to use the Great Recession to assess government services and identify cost efficiencies on a grand scale. Instead, O’Malley simply slowed state government’s rate of growth during hard times. He papered over the need to downsize, shift or reinvent the way non-essential services are delivered. At the end of the 2014 General Assembly session in early April, legislative analysts predicted Maryland’s spending would exceed incoming revenue by $236 million for the fiscal year that started July 1. Ominously, those analysts noted O’Malley’s budget anticipated a whopping 5.2 percent economic growth in this fiscal year and general fund revenue growth of 4.6 percent. While recent national economic reports for June indicate a stronger recovery in the months ahead, it is doubtful Maryland can reach its rosy revenue projections for this fiscal year. Expect more spending reductions this winter. The key question is whether O’Malley confronts that issue or passes the buck to his likely successor, Lt. Gov. 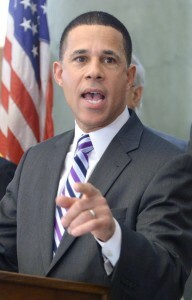 Anthony Brown. Even before Maryland’s revenue projections turned south, legislative analysts had warned Maryland faces a growing cash shortage that could reach $404 million in the next fiscal year. It would take an imposing 7.1 percent surge in state tax revenue to wipe out that structural imbalance — or a major retrenchment in state spending, which is highly unlikely. Given the discouraging outlook that prompted last week’s budget cuts, next fiscal year’s projected cash shortage of $404 million could grow by leaps and bounds. O’Malley, though, will continue to “spin” this story in a politically positive way. Other states — New York New Jersey, Pennsylvania and North Carolina – he notes, are in far worse shape (though we don’t have a handle on how bad the situation really is in Maryland — and won’t till September at the earliest). The governor wants to put a shine on his Maryland legacy as he moves toward a presidential campaign. He also wants to keep Maryland’s budget woes on the back burner until Brown is safely elected governor in November. Republican Larry Hogan Jr. will try to convince voters “the sky is falling.” But the worst news from last winter’s deep freeze is over and the national economy is showing encouraging signs of finally springing back to life. That is good news for Brown in the short term. But come December and January, Governor-elect Brown could be faced with an ugly reality — a far deeper state deficit, painful and immediate spending cuts and a budget for the following fiscal year that can’t deliver on his expensive campaign promises.